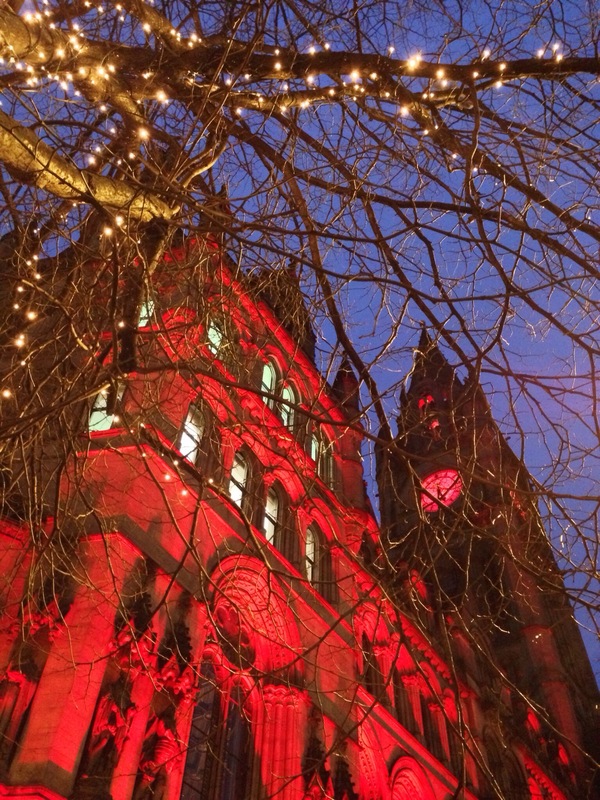 I love the red light against the facade! And in the church tower too! 🙂 Do they arrange multi-colored lights to get that effect?